Preferred shares allow considerable flexibility in designing shareholder rights. An issuer has broad discretion to attach certain rights and obligations to preferred equity without diluting the voting power of common shareholders or giving away the current management’s control over the company. Unlike common shares, preferred shares may offer only limited voting rights (such as a right to vote if dividends have not been paid to preferred shareholders within a specified amount of time) or none at all. Yet, preferred shares are considered equity (not debt), are subordinate to the claims of creditors, and do not increase the company’s debt-to-equity ratio. At the same time, preferred shares may offer a preferential return by placing preferred shareholders first in line to receive dividends, a share of profits and/or liquidation proceeds (as compared to common shareholders). Preferred share tokens are issued and settled on a blockchain, which secures instant and effortless settlements without the need for issuing and signing stock certificates. Access to capital via blockchain is provided on a global scale 24/7. In addition, capital table management and distributions to shareholders are simplified and expedited. Hence, placing preferred shares on a blockchain by issuing preferred share tokens, if done properly, may enhance the flexibility and liquidity associated with such share and accordingly, reduce the liquidity discount – historically, a material decrease in value – that has otherwise applied to all but widely held conventional securities. For an example of a company benefiting from these advantages, consider tZero, a subsidiary of Overstock.com, that has developed a legally compliant trading platform for digital securities. At the end of 2018, tZero raised $134 million from over 1,000 investors participating in its offering of preferred equity tokens which carry discretionary preferred dividend rights. In sum, the features of a preferred share token offering, if properly structured and executed, can facilitate expeditious access to investors and shareholders globally, in real time and in full compliance with the corporate and securities laws. Preparing appropriate documentation for the DSO. 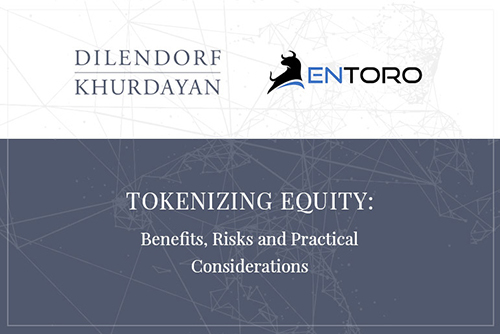 Each of these considerations is explored in more detail below, as applied to tokenized preferred equity. For a successful DSO, an issuer’s corporate and tax structure must be established in advance. A more complex structure may be required, for example, because some countries prohibit the issuance of digital securities. In such cases, a DSO may be structured through a special purpose vehicle (SPV) or finance subsidiary located in a DSO-friendly jurisdiction. Of course, the complexity of a corporate structure will depend on many other factors, including the company’s operational history, existing corporate and ownership structure, tax consequences, exposure to potential litigation, and certain limitations prescribed by corporate and securities laws. There is no one right answer to the question where an issuer of tokenized equity should be incorporated to structure a legally compliant and economically favorable DSO. Although an issuer does not have to be incorporated in the U.S. to issue securities, the U.S. is currently one of only a few jurisdictions that allow for the issuance of digital securities. Incorporating in the U.S. may provide issuers with some additional home-field advantages, such as facilitating access to local capital and regulated security token exchanges. 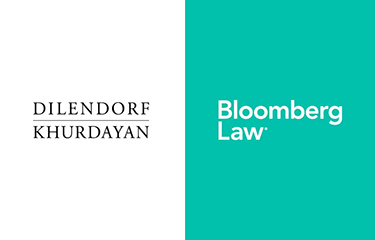 On the other hand, the U.S. legal system’s high standards for protecting investors may expose local companies to higher litigation risks, and the U.S. tax regime may create additional burdens for companies seeking to minimize their tax exposure. Nevertheless, some companies prefer to incorporate in the U.S. for the projected reputational benefits as compliance with U.S. law’s high standards inspires investor confidence worldwide. Do securities regulations allow for the offering to be conducted by a foreign issuer, or do they require that a local company be established? If the issuer and the operating company are different entities in different countries, what multi-jurisdictional legal issues, if any, must be addressed? Do corporate laws permit preferred shares to be issued with the desired rights? Is there is a sufficient regulatory environment for maintaining the company’s stock ledger on a blockchain? 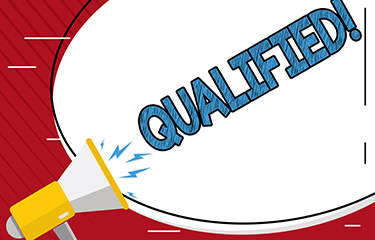 A company does not necessarily have to be incorporated in the U.S. for a compliant DSO. U.S. securities laws allow certain offerings to be conducted by foreign issuers. In general, securities offered or sold in the U.S. must be registered with the SEC, unless the securities or the offering falls within an exemption from registration. Foreign companies may register their securities with the SEC. But a full SEC registration requires a significant amount of time and resources, making it generally unfeasible for private issuers, including issuers of preferred share tokens. However, some of the SEC’s exemptions from registration allow both U.S. and foreign issuers to offer their securities to the U.S. and foreign investors. For example, foreign companies, like domestic ones, may conduct exempt offerings to U.S. and foreign investors simultaneously under Regulation D and Regulation S. Conversely, offerings that are exempt under Regulation CF (Crowdfunding) and Regulation A+ must be conducted by a U.S. issuer. Different exemptions offer different advantages and impose different restrictions. In addition to securities regulations, U.S. and foreign issuers of tokenized preferred equity may inadvertently find themselves subject to the Investment Company Act of 1940 (“ICA”). If a company’s business substantially consists of holding securities of other entities, that company may be considered an investment company under the ICA. Investment companies are subject to registration and a high level of costly compliance. The risk of being classified as an investment company is particularly acute for an SPV that holds shares of a sponsoring operating company for the purposes of a DSO and that does not conduct any other business. However, like the securities regulations, the ICA contains several exemptions that can be utilized by both U.S. and foreign issuers to structure a compliant DSO while avoiding burdensome registration as an investment company. One of the first corporate considerations related to tokenization of preferred shares is whether the company is legally allowed to issue and maintain such shares with the desired rights and obligations but without physical certificates. For example, in the U.S., Delaware law is particularly favorable to preferred share issuers, making it a popular jurisdiction for incorporation. The Delaware General Corporation Law (“DGCL”) allows the terms of preferred shares to be structured in the management’s broad discretion. 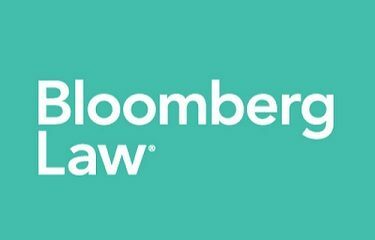 In addition, as a part of the Delaware Blockchain Initiative, the state amended the DGCL to authorize companies or their agents to administer and maintain stock ledgers on a distributed ledger or blockchain. Other states that expressly allow maintaining corporate records on a blockchain include Wyoming and California. In addition, most U.S. states already allow for uncertificated shares that may be recorded digitally, which suggests a great potential for the reception of the blockchain technology by private equity issuers nationwide. In addition to making sure that a DSO is allowed by the corporate and securities laws of a chosen jurisdiction, the issuance should be sufficiently authorized by and described in the internal corporate governance documents, such as the certificate of incorporation, bylaws, shareholder agreements, resolutions and consents. At this stage, generally, the issuer’s goal is to properly charter (a) authority to issue tokenized preferred equity; (b) corporate procedures related to tokenized preferred equity; (c) classes of tokenized preferred equity; and (d) the rights and responsibilities that attach to each class of preferred share tokens. Depending on the jurisdiction of formation, an issuer’s board of directors may have very broad authority to determine the dividend, distribution, liquidation and conversion rights and obligations for each class of preferred share tokens. If the issuer is an affiliate/SPV/subsidiary of a sponsoring operating company, certain corporate amendments and consents may be required from the sponsor to incorporate the issuer and implement the DSO structure. Dividends or distributions (discretionary or guaranteed; cumulative or non-cumulative). Dividends on preferred share tokens are usually very flexible, but they must be structured carefully to feature all the elements necessary to be properly measured and distributed. Liquidation preference price and type. For example, participating and non-participating preferred shares have different rights upon liquidation. Liquidation preferences may also be different for bankruptcy versus a change of control (e.g., merger or acquisition). Voting rights. Will the tokens be voting, non-voting or voting as a special class? Will there be additional rights upon an issuer’s failure to pay preferred dividends for a defined number of quarters? Conversion rights and obligations. Preferred shares may be converted into common shares at a shareholder’s or company’s option, during a time period or at some point in time. Conversion rights may provide preferred shareholders with additional capital appreciation opportunity if the company grows. Will there be any conversion rights? If so, what would be the conversion ratio and other terms? Redemption rights and obligations. An issuer, similarly, has discretion whether to agree to repurchase the preferred shares and under what terms. Will there be a mandatory redemption date? Will the redemption payments be spread over time? What funds will be used for the repurchase? Anti-dilution protection. Will there be any protection for the preferred shareholders against being diluted by subsequent issuances of different series and classes of stock? Any risks of dilution should be disclosed in the DSO documents. All the terms of the DSO will be reflected in the offering documents, which will vary depending on the type of offering, type of business and the particular exemption (or exemptions) from registration utilized by the issuer. However, DSO will typically involve preparation of an offering memorandum or prospectus to be distributed to prospective investors (“OM”). The OM will contain numerous provisions to be considered by investors, including an executive summary and description of the project; legal notices to investors; an overview of the company and its corporate structure; description of the company’s management team; financial information; disclosures concerning any conflicts of interest; terms of the security token and the offering, including how the funds raised will be used; risk factors, purchase and resale restrictions; disclaimers and so on. In addition, the investors will have to sign a Subscription Agreement or Purchase Agreement containing terms and conditions for purchasing the preferred share tokens, including representations by the company and the investor, payment and delivery terms, transfer restrictions, etc. Keeping track of investors. This is absolutely necessary to maintain the company’s capital table and track or enforce transfer restrictions and secondary trading limitations, as described below. Conducting investor accreditation and KYC/AML checks of investors and their digital wallets upon each transfer. Calculating, declaring and distributing dividends via smart contracts. It is highly important to embed into the token all the restrictions mandated by the securities regulations. One of those limitation to be kept in mind while considering incorporating in the U.S. is the so-called “2,000 holders of record” rule. The rule applies differently to U.S. issuers and foreign issuers. Under Section 12(g) of the Securities Exchange Act of 1934, U.S. issuers with total assets above $10 million and more than 2,000 holders of record of the company’s equity securities (or 500 holders of record who are not accredited investors) must register those equity securities with the SEC. In the case of foreign private issuers, the registration is not required unless the issuer reaches 300 U.S.-resident equity holders of record. SEC registration is a lengthy and expensive process that also involves ongoing reporting obligations; it is generally not feasible for preferred-share-token issuers. Other securities-related limitations that U.S. and foreign issuers of preferred share tokens should consider depend on the particular exemption from registration that is being used, but these generally include: verification of a purchaser’s “accredited investor” status and KYC/AML checks, transfer restrictions and limitations on secondary trading, and broker-dealer issues. If the issuer of a preferred-share token chooses to employ one of the several tokenization platforms now or soon to be available, it must ensure that the chosen platform is capable of building all the contemplated and requisite features into the tokens. Tokenization of preferred equity may benefit both U.S. and foreign issuers by providing an innovative, lower cost and flexible global financing opportunity. The U.S. regulatory environment already allows DSOs and is expected to develop further. At present, while the tokenization process can be a challenging task because it involves complex corporate, securities, tax and other considerations and limitations that preexisted the concept of digital securities on a blockchain, it also offers short and long term benefits that companies seeking to raise capital should consider leveraging. Accordingly, the considerations outlined above should not prevent the proliferation of digital securities and may be used as a step-by-step guidance to a successful equity tokenization project in 2019. Entoro Capital is a Houston based technology enabled investment bank and advisory group specializing in digital securities and blockchain strategies. Entoro uses its proprietary online private securities syndication platform OfferBoard® for accredited investors to analyze and review projects and opportunities. Entoro’s strength is in bringing highly vetted projects to investors globally, with maximum efficiency, end-to-end security, and with seamless execution, delivering total confidence in each investment. Securities are offered through Entoro Securities, LLC, member FINRA/SIPC. For further information, visit www.entoro.com. Unless the issuer plans to rely on an exemption from securities registration that requires incorporation in the United States.